Wearing a jersey of New England Patriots quarterback Tom Brady, California Gov. Gavin Newsom, center, talks to Rico Alvarez , left, while working the lunch service at Loaves & Fishes, Wednesday, Feb. 6, 2019, in Sacramento, Calif.
California Gov. 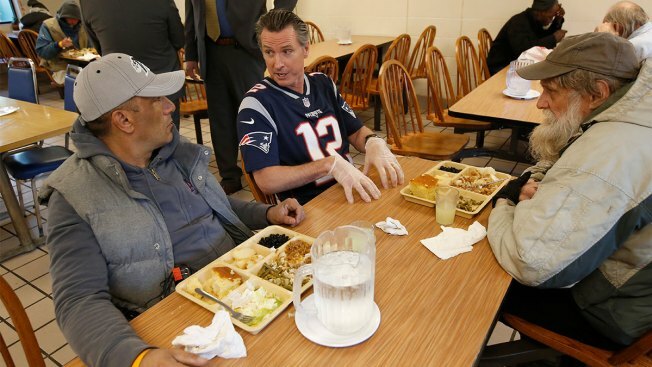 Gavin Newsom has been spotted in a Tom Brady jersey.